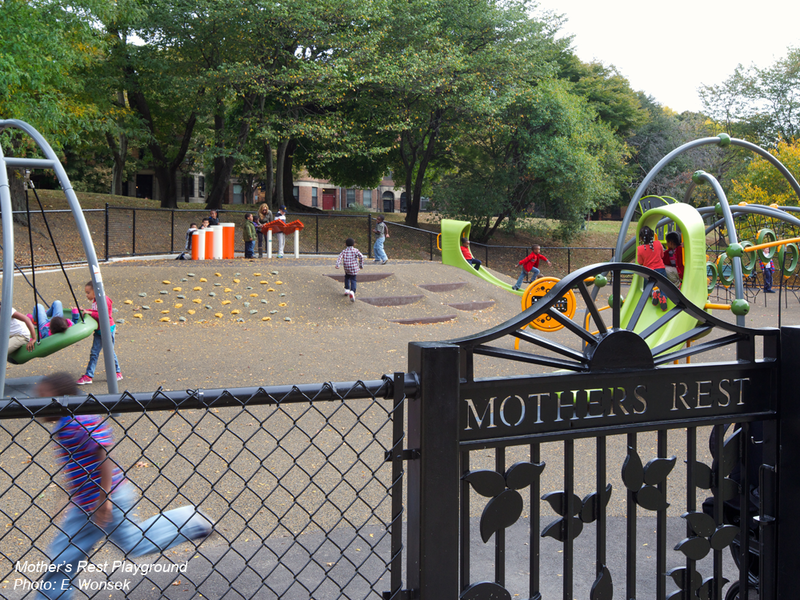 Nestled on the Muddy River, Mothers Rest has been a respite and recreation space since Olmsted’s original plan for the Emerald Necklace. CBA's design, built into the hillside, revitalized the site. A central stage doubles as a play feature, with climbers up, a slide down, and musical instruments. The sculptural play elements selected add a contemporary flair to the site and challenging play, while respecting the historic setting. Both the Landmarks and the Conservation Commissions were consulted in the process. CBA was chosen to design a replacement boardwalk at historic Ward's Pond at Olmsted Park (part of the Emerald Necklace park system) in Jamaica Plain, Boston, MA. The 270' long boardwalk was designed in durable composite decking, both to look and feel like real wood lumber and to withstand constant moisture and heavy daily use. The composite decking also allowed CBA to utilize existing boardwalk footings in place without disrupting the surrounding wetland. CBA coordinated with the City of Boston Parks and Recreation Department, the Massachusetts Department of Environmental Protection, and the City of Boston Landmarks and Conservation Commissions to improve this small but impactful corner of the Emerald Necklace system.